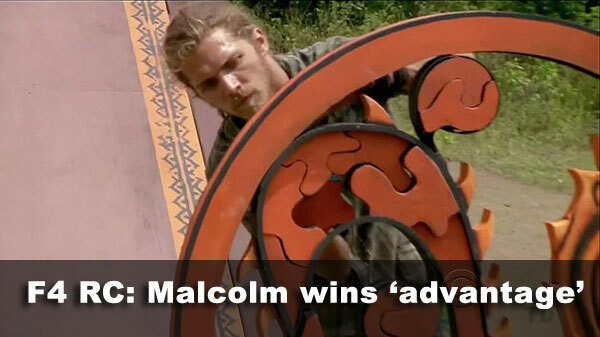 Reward challenge: "Dragon Slayer" - Malcolm again plows through a puzzle, winning "advantage" in the immunity challenge. Immunity challenge: "The Ball Drop" - Malcolm is first out (twice, thanks to his "advantage"), and Skupin wins. Voted out: Malcolm, 4-1 over Denise. Winner: Denise, 6-1-1 over "Skoopin" and Lisa. Notes: Single reward challenge, single immunity challenge, one unlucky final boot (Malcolm), jury votes for the winner (Denise). Pretty straightforward. 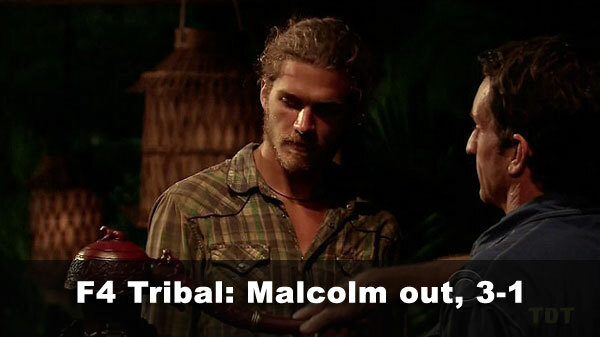 - Malcolm received 3 votes, from Denise, Skupin, and Lisa (voted out, 3-1). - Denise received 1 vote, from Malcolm. - Denise received 6 votes, from Malcolm, Abi-Maria, Penner, Pete, Artis, and Jeff Kent (winner, 6-1-1). 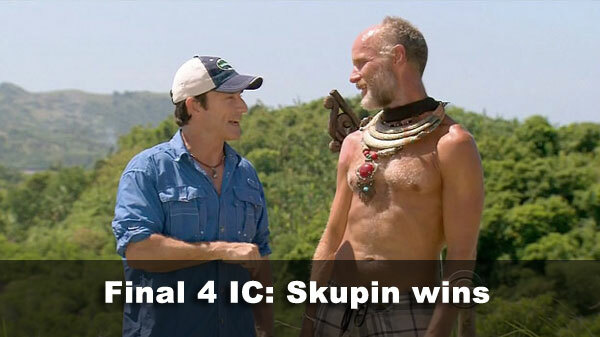 - Skupin received 1 vote, from Carter. - Lisa received 1 vote, from RC.